These moments of instant CAR-ma are brought to you by drivers who let their emotionally-charged impulses take the wheel. Things like those crazy yellow and white solid or dotted lines are there for an even crazier thing, like providing a little structure to the chaos of the road. When you choose to cross the line (literally) and jeopardize another driver's safety, the universe has an uncanny knack for intervening with flashing red and blue lights. The universe has an uncanny knack for intervening on people caught up in being inconsiderate, malicious pricks to those around them. Instant karma's a b*tch, and these people felt the extent of its fury. What goes around comes around. Getting some Final Destination vibes on these. If your Tinder match is going to open up a conversation asking about your friend, she deserves to be messed with. After hearing the news that his daughter's fiancé had been cheating on her, dad decided to stop by and pay the dude a visit. And by visit, we mean throw the cheating fiancé around like a rag doll. The fiancé was desperately trying to plead his case, however, dad was more into landing a Street Fighter combos than listening. 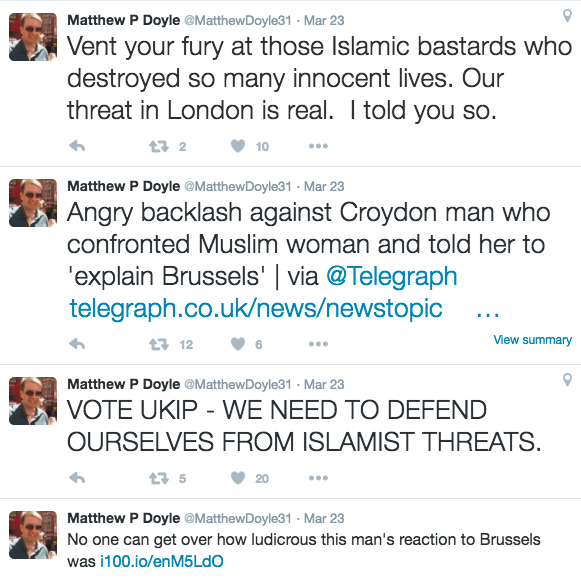 A London man ended up in big trouble after posting several awful Tweets about Muslims following the Brussels Attacks. 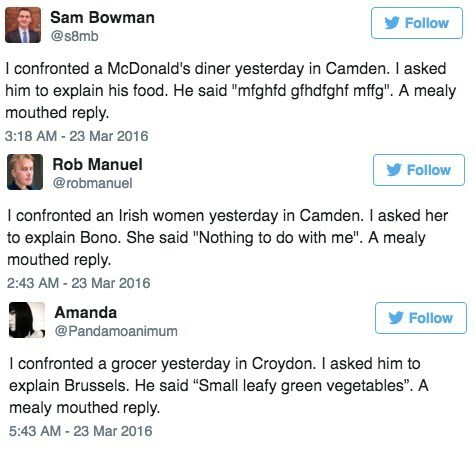 His initial Tweet, where he describes "confronting" a Muslim woman was met with an appropriate amount of derision from other users who turned his phrase into a meme. Despite this alternate version of events, his Twitter stream has devolved into alternately spouting hateful things aimed at Muslims and retweeting stories about his "confrontation" Tweet. "A 46-year-old man was this evening arrested at his home in Croydon on suspicion of inciting racial hatred on social media. He has been taken to a south London police station and enquiries continue."